The High Drift Oak & Grey Bar Stool takes on the design of our extremely popular Drift Stool, but its taller height makes it perfect for commercial settings as well as high kitchen counters or islands. With its retro style and combination of classic and modern materials, the High Drift is a wonderfully versatile piece not to be missed. 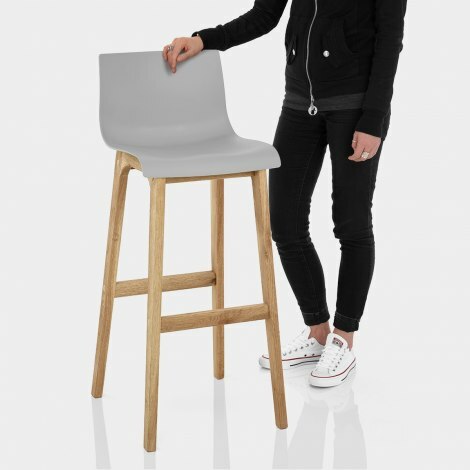 Sculpted from textured grey matte resin, the seat is stylishly curved to offer support and the mid height backrest adds to the comfortable seating experience. 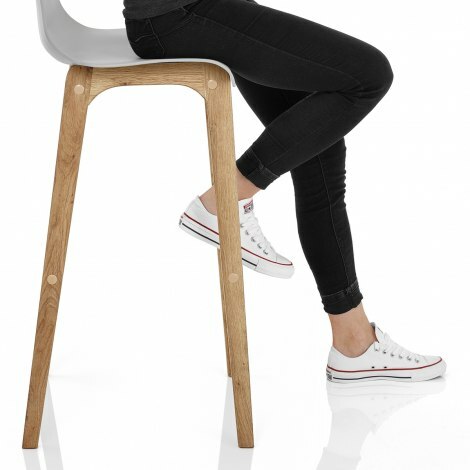 Complete with a bracing bar footrest, the solid oak frame delivers a strong and sturdy base that gives a natural contrast to the modern seat, which has a seat height of 78cm. "Easy to assemble, extremely comfortable, look really stylish"
Easy to assemble, extremely comfortable, look really stylish. Very quick and efficient delivery, really easy to assemble. Very strong and sturdy I'm very pleased all round with them, I would definitely recommend this company.